CAPCOM | Capcom to Release Resident Evil 2 and Devil May Cry 5 Before End of March 2019! Capcom to Release Resident Evil 2 and Devil May Cry 5 Before End of March 2019! Capcom Co., Ltd. (Capcom) today announced its two major titles for the current fiscal year. Resident Evil 2 for the PlayStation®4 computer entertainment system, the Xbox One family of devices including the Xbox One X and PC is scheduled for release on January 25, 2019, and Devil May Cry 5 for the Xbox One family of devices including the Xbox One X, PlayStation®4 system and PC is scheduled for a Spring 2019 release. The Resident Evil franchise features survival horror games in which players utilize a variety of weapons and other items to escape terrifying situations. Cumulative sales of the games in the series now total 83 million units* since the first title debuted in 1996. More than 20 years later, support from the passionate fan base across the globe even today makes it Capcom's flagship game series. With the new Resident Evil 2, Capcom is taking the fourth best-selling game in the series' history, with cumulative sales of 4.96 million units, and creating it anew. The Devil May Cry series consists of popular, stylish action games known for their unique characters and exhilarating movement. One of Capcom's major brands, the games in this series have cumulatively sold more than 16 million units* since the first title was released in 2001. 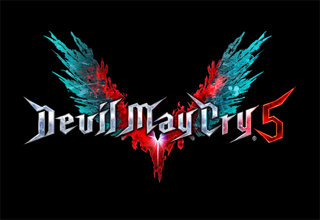 The latest title in the series, Devil May Cry 5, is scheduled for a Spring 2019 release. By leveraging its wealth of widely recognized IP, Capcom aims to further increase its corporate value with consistent releases of major titles each fiscal year. *Microsoft and Xbox One are either registered trademarks or trademarks of Microsoft Corporation in the United States and/or other countries.